Billboard reports that the surviving members of influential hip-hop group Run-D.M.C. have launched a lawsuit against online retailers Walmart, Amazon, and Jet, as well as a number of clothing production companies, for allegedly being illin’ in the form of selling merchandise marketed with the band’s name and branding without its consent. 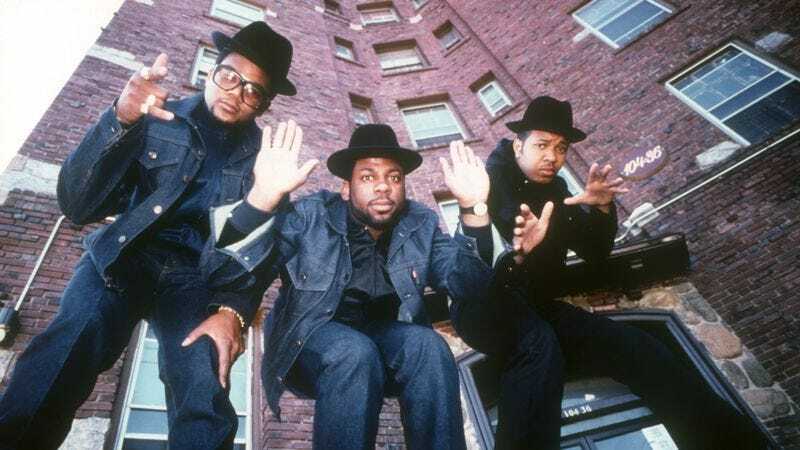 The $50 million suit claims that retailers have been selling items featuring the band’s logo, as well as Run-D.M.C.-inspired items—like the band’s distinctive square-framed glasses and fedoras—that use the group’s name in their marketing. The lawsuit comes a month after Amazon made a public effort to crack down on chicanery in its marketplace, suing sellers for offering counterfeit versions of trademarked goods.